Did you notice the article in the papers last week about the increase in counterfeit (and dangerous) teeth whitening kits? It certainly caught our eye and it reinforces what we at Carisbrook Dental have been warning about for some time now – if you want to improve the appearance and whiteness of your teeth, see your dentist! Police have arrested members of a gang suspected of selling counterfeit teeth whitening kits containing dangerous amounts of bleaching agent. Officers who carried out raids in Merseyside found dozens of boxes of products with high levels of hydrogen peroxide – which can cause long-term health problems. They held two men, aged 43 and 48, who are thought to be part of an international criminal network importing and selling a range of pirate luxury fashion goods for huge profits. Police believe the suspects were planning to sell the phoney items online and at local market stalls. Hydrogen peroxide levels in dental whiteners have been subjected to cuts after concerns that some products were causing damage to teeth, lips and gums. A 2012 European Union regulation says teeth whiteners must contain no more than 0.1 per cent hydrogen peroxide or chemicals which release the substance. Celebrity endorsements have raised the popularity of teeth whitening over recent years and it is now a multi-million pound business. As a result, fraudsters have moved in on the business – selling pirated kits turned out in overseas factories using sub-standard and even dangerous ingredients. If you want to know more about the professional and medically approved way to achieve gleaming white teeth, take a look at our Teeth Whitening article that we posted a few weeks ago. It explains all about today’s dental approved techniques and it provides you with a list of all the options available to you. 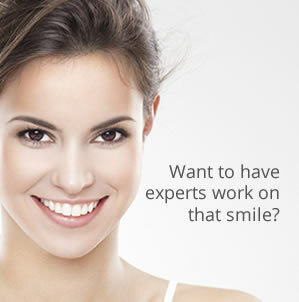 Speak to Carisbrook Dental about teeth whitening and learn more about our Special £100 off offer.